"This is a collector’s item that reminds me of a Soda Canyon version of the great Philip Togni’s Cabernet Sauvignon from Spring Mountain. Dense purple to the rim, with plenty of crème de cassis and hints of forest floor, truffle and white flowers, the wine is spicy, rich, multi-dimensional, with beautiful purity and a finish of close to 45+ seconds. " 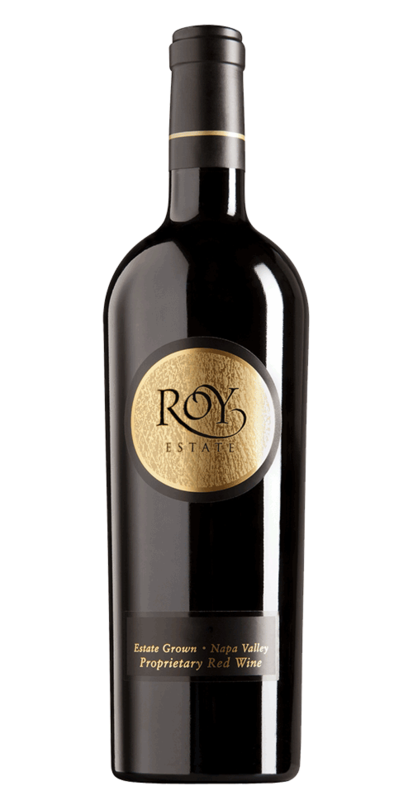 Please note that due to the low availability and high demand for Roy Estate, this wine is non-discountable. 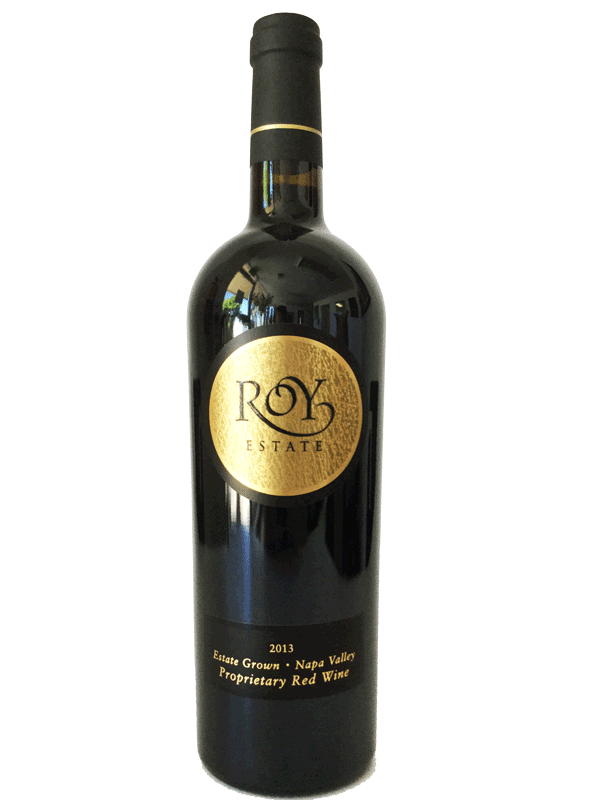 "The 2013 Proprietary Red Estate is a blend of 73% Cabernet Sauvignon, 19% Merlot and 8% Petit Verdot. This wine was aged in 85% new Taransaud oak for 19 months prior to bottling of 650 cases. The wine is a beauty, with loads of charcoal, scorched earth, blackcurrants and blackberry fruit present, along with underlying smoky notes. It is dense purple, full-bodied, and rich, with moderate tannin. This wine will benefit from another 4-5 years of cellaring and drink well for another 20-25 years. A pure and powerful expression of Napa Valley’s best. 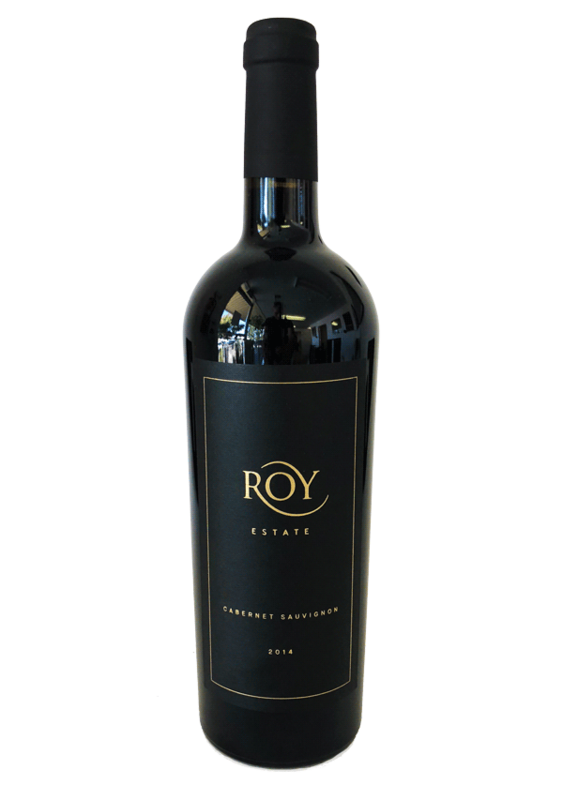 The very limited production of 300 to 450 cases of Roy Estate Cabernet Sauvignon is the end result of the meticulous efforts of our entire vineyard and winemaking team. Our single vineyard, Estate grown Cabernet Sauvignon is a sophisticated wine of striking complexity, deep concentration and substantial structure. Built to last, this wine is aged up to 28 months in Taransaud new French oak barrels to heighten complexity and deepen aromas. 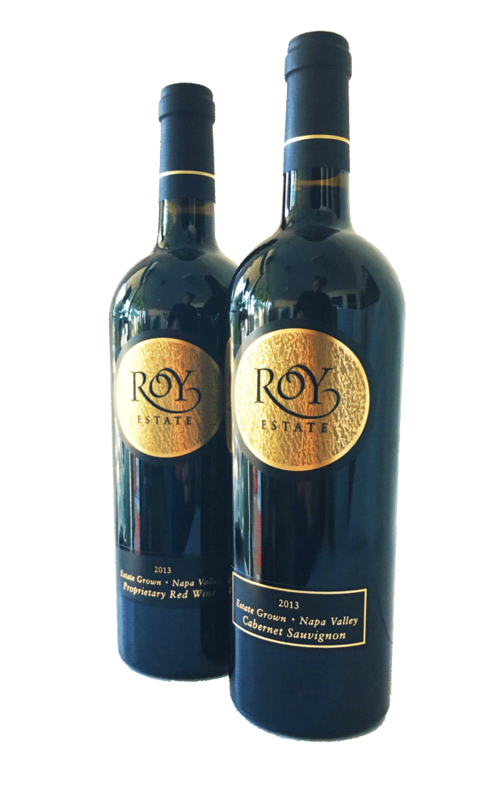 Our Roy Estate Cabernet Sauvignon has garnered consistent praise from wine experts and critics for every single of its vintages. This 2014 Proprietary Red is an intensely aromatic wine with loads of dark fruit, blueberry, raspberry jam, blackberry and black cherry. The mouth is extremely elegant, yet round and voluptuous with notes of currant, cherries, spice box, camphor and scorched earth. This dense wine has purity with its supple tannins creating that signature Roy finish that lingers. Enjoy how it develops and evolves as it opens in your glass.